Grace Campbell, assistant professor in the School of Nursing, has been elected director of the Association of Rehabilitation Nurses through fall 2021. Campbell took office at the group’s REACH 2018 Educational Conference and Expo, last fall in West Palm Beach, Fla. She has been an active member of ARN for 20 years, having served as president, treasurer and secretary of the Southwest Pennsylvania Chapter as well as on various committees. Pitt’s Mascaro Center for Sustainable Innovation (MCSI) has named the 2019 awardees in the John C. Mascaro Faculty Program in Sustainability. The program is designed to enhance the University’s mission of interdisciplinary excellence in research and education. Faculty from all Pitt schools and disciplines are eligible to apply as faculty fellows, faculty scholars or faculty lecturers. Receiving $20,000 awards as John C. Mascaro Faculty Fellows in Sustainability are Mike Blackhurst of the University Center for Social and Urban Research and Paul Leu of the Swanson School of Engineering Department of Industrial Engineering. Receiving $10,000 awards as John C. Mascaro Faculty Scholars in Sustainability are Justin Kitzes of the Dietrich School’s Department of Biological Sciences and Andrea La Nauze of the Dietrich School of Arts and Sciences Department of Economics. Receiving $5,000 awards as John C. Mascaro Faculty Lecturers in Sustainability are Robert Kerestes of the Swanson School’s Department of Electrical and Computer Engineering and Ruth Mostern of the Dietrich School Department of History and World History Center. Awards are for one year with the option for renewal for an additional year for the Mascaro fellowships and scholarships. During the year, fellows are expected to contribute to intradisciplinary and interdisciplinary research and/or education as well as help to team-teach one sustainability course as part of the University’s undergraduate certificate in sustainability and master’s degree in sustainable engineering. 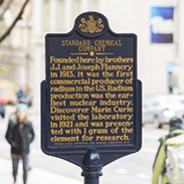 A Pennsylvania Historical Marker commemorating Standard Chemical Company and its role in radium production has been dedicated outside Allen Hall. Already famous for steel, Pittsburgh became the worldwide center for radium production in the early 20th century thanks to the entrepreneurship of brothers J.J. and Joseph Flannery, founders of Standard Chemical Co.
Their company, founded in 1913 and headquartered at Forbes and Meyran avenues in Oakland, was the nation’s first commercial producer of radium. By 1920, Standard Chemical radium researchers Glenn D. Kammer and Henry J. Koenig, two 1912 graduates of Pitt’s School of Chemistry, were supervising the production of more than two-thirds of the world’s radium. The company produced the gram of radium that was presented to French physicist Marie Curie in 1921 as a gift from the women of America. During her tour of the U.S., Curie asked to visit Standard Chemical’s headquarters and production facilities. She also was conferred an honorary doctorate by the University of Pittsburgh in a convocation at Soldiers and Sailors Memorial Hall. Flannery family members, including Sarah Flannery Hardon, great-great granddaughter of J.J. Flannery, were among the guests at the Nov. 12 marker dedication. A University of Pittsburgh Press publication has landed on the PEN America Literary Awards longlist for 2019. Shauna Barbosa’s “Cape Verdean Blues” is a semi-finalist in the PEN Open Book Award category. 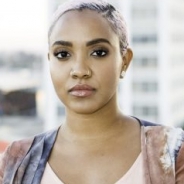 This specific award honors “an exceptional book-length work of any genre by an author of color, published in the United States.” A collection of poetry, “Cape Verdean Blues” addresses Barbosa’s upbringing as a Cape Verdean living in Boston. The PEN America Literary Awards honor “literary excellence and celebrate voices that challenge, inform, and inspire.” The winners will be announced at an awards ceremony in February. Brent Doiron, a professor in the Department of Mathematics, will work with a team from Columbia University’s Mortimer B. Zuckerman Mind Brain Behavior Institute to develop mathematical models of the brain’s primary visual cortex. The effort is supported by a five year, $16.75 million grant from the National Institute of Health’s BRAIN Initiative. 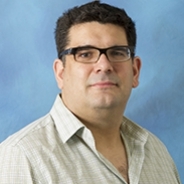 Doiron will serve as a theoretical neuroscience investigator, receiving $1.7M for his investigations as part of the grant. Doiron, who’s also a member of the University of Pittsburgh Brain Institute, collaborates extensively with faculty in other departments to advance theoretical models of brain activity and cognition. 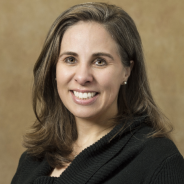 Natalie Leland, an associate professor in Pitt’s Department of Occupational Therapy, has been named a fellow of the Gerontological Society of America. Leland's research focuses on understanding and improving care quality for older adults, with a particular interest in how occupational therapy can contribute to interdisciplinary patient-centered outcomes. The society is the nation’s largest interdisciplinary organization devoted to the field of aging. The status of fellow — the highest class of membership within the society — is an acknowledgment of outstanding and continuing work in gerontology. Leland was one of 89 fellows selected for the class of 2018. William Brice, retired Pitt–Johnstown geology and planetary sciences professor, has been honored by the Geological Society of America with the annual Mary C. Rabbitt History and Philosophy of Geology Award for 2018. He joined the UPJ staff in 1971, remaining at that post until 2005. Brice has visited more than 50 countries and helped found Pitt–Johnstown’s geology program. He currently edits the International Commission on the History of Geological Sciences Annual Record. Pitt–Johnstown journalism associate professor Leland K. Wood was appointed to the Greater Johnstown School District board in December. Wood also is the adviser for the school’s student newspaper, The Advocate. During his career, he has served as a daily newspaper reporter, bureau manager, correspondent business manager, and deputy metro editor. Wood said he applied to become a member of the Greater Johnstown school board out of a desire to give back to the community, having been the product of several of the city’s public schools. Pitt’s Swanson School of Engineering is collaborating with General Carbide Corporation in Greensburg to research better base powders and 3D printing methods for more effective and economical use of tungsten carbide in additive manufacturing. The project was financed in part by a $57,529 grant from the Commonwealth of Pennsylvania’s Department of Community and Economic Development and the first round of the PA Manufacturing Innovation Program. Cost share from Pitt’s Swanson School of Engineering and General Carbide will provide a total funding of $145,000. Pitt’s principal investigator for this project is Markus Chmielus, assistant professor of Mechanical Engineering and Materials Science. The University of Pittsburgh’s Office of Child Development held a book drive to provide resources for children affected by gun violence in Squirrel Hill and the surrounding community. 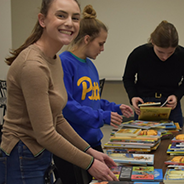 Pitt students, staff and faculty have started delivering the nearly 3,000 books to approximately 200 schools and early childcare facilities, just in time for the holidays. They plan to finish their deliveries in January. The Pitt community and people from across the country donated the books, which will be used to help local children heal and embrace diversity. “The outpouring of donations and support we’ve received has been remarkable, and we are hopeful that the Office of Child Development can deliver even more resources to help children process fear and embrace diversity,” said Director Shannon Wanless. 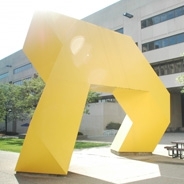 The Office of Child Development and its partners in the Pitt Early Childhood Community, including Falk School, the University Child Development Center and early childhood programs in Pitt’s School of Education, are part of this ongoing effort. Each year, the League of American Bicyclists recognizes colleges and universities that support bicycling with its Bicycle Friendly University status. 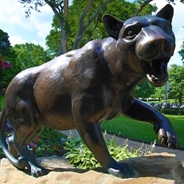 This year, Pitt earned the status with a bronze distinction, joining nearly 200 other universities on the overall list. “This is the first year we applied for recognition on campus, but we have had the infrastructure and programs in place for quite some time,” said Jeff Yeaman, senior manager, Department of Parking, Transportation and Services. 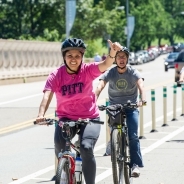 Yeaman cited specific examples like the bike rooms in Nordenberg Hall and fix-it stations around campus as evidence of Pitt’s commitment to being a bike-friendly campus. The league’s bronze distinction recognizes institutions that have taken notable steps in supporting bicycling for recreation and tranporation, which can be seen in above-average numbers of students, faculty and staff riding bikes. The league scores institutions that apply for distinction across five categories, including engineering, education, encouragement, enforcement and evaluation. Read more information about the distinction process online. 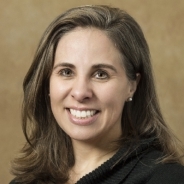 Beth Piraino, professor of medicine and associate dean of admissions and financial aid at the School of Medicine, will receive the J. Michael Lazarus Award by the National Kidney Foundation. The award was established to honor Dr. J. Michael Lazarus for his contributions to the clinical science and care of dialysis patients, and to recognize individuals whose research has yielded novel insights related to renal replacement therapy. Piraino is a pioneer in peritoneal dialysis (PD) clinical research, with particular focus on prevention of PD-related infections and improving outcomes for patients treated with home dialysis. Piraino will receive the award at the National Kidney Foundation’s Spring Clinical Meetings in May 2019. 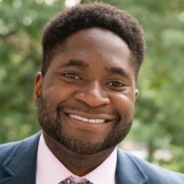 Utibe R. Essien, assistant professor in the School of Medicine’s Division of General Medicine, was the lead author for study published in JAMA Cardiology that found striking differences in the use of blood thinners for stroke prevention by race, especially in the newer class of these medications. Black patients were far less likely to receive blood thinners, even after controlling for socioeconomic status. The study used the Outcomes Registry for Better Informed Treatment of Atrial Fibrillation II (ORBIT-AF II) to source patient data for the study. He conducted the research during a fellowship at Massachusetts General Hospital. Many factors, including limited access to specialists, out-of-pocket costs, medication adherence and implicit bias, have been suggested as possible reasons for the disparities in care for patients with atrial fibrillation, but further research is needed to address and correct these issues, according to a UPMC news release. 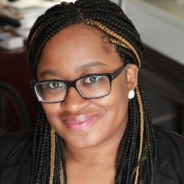 Utibe, who came to Pitt in September and also is a core investigator for the VA Pittsburgh Center for Health Equity and Research Promotion, co-authored the study along with physicians and academics from Harvard, Duke, Yale and UCLA. 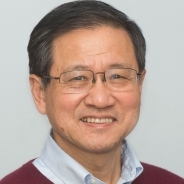 Tao Han, distinguished professor of High Energy Physics in the Department of Physics and Astronomy, has been elected vice chair of the executive committee for American Physical Society’s Division of Particles and Fields. The American Physical Society represents more than 55,000 physicists across the globe and uses advocacy, research journals, meetings and other forms of outreach to promote its work. Han will begin his duties in January 2019 and will assume as chair in 2021. 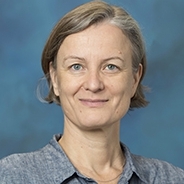 Viktoria Harms, lecturer in the University of Pittsburgh’s Department of German, has been selected by the American Association of Teachers of German and the Goethe-Institut as a recipient of their Certificate of Merit. 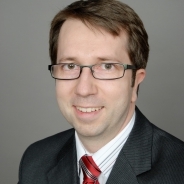 Harms serves as the Department of German’s director of language studies and director of undergraduate studies within the Kenneth P. Dietrich School of Arts and Sciences. She was honored at the AATG and American Council on the Teaching of Foreign Languages Convention and World Languages Expo on Nov. 17 in New Orleans. Keisha N. Blain’s book "Set the World on Fire: Black Nationalist Women and the Global Struggle for Freedom" was named one of the best history books of the year by Smithsonian Magazine. Blain is an assistant professor in Pitt’s Department of History. To read the full list of best books, visit the magazine's website. Twenty professors from varying fields at the University of Pittsburgh were named to Clarivate Analytics’ list of Highly Cited Researchers over the past decade. The list “recognizes world-class researchers selected for their exceptional research performance, demonstrated by production of multiple highly cited papers that rank in the top one percent by citations for field and year in ‘Web of Science.’” To view the full list, visit their website.